We love to tell true stories, especially when they help us make a point. This one is about a hapless rookie reports developer. His IT department invested in a low-budget reporting platform for their ERP and didn’t do anything to optimize the integration. The young developer tried to extract a massive data set covering several years of transactions. Hundreds of people screamed when the ERP slowed to a crawl. Fortunately, this developer was not in a multi-tenant environment, so he upset only a few dozen people, not thousands. The integration takes more than 2 hours to process. The process generates more than 1 GB of files during the integration run. Any single file is larger than 250 MB during the integration run. It uses more than 1.5 GB of memory during processing. While these “fences” help us be good neighbors in a multi-tenant environment, there is more we need to do to prevent glitches and support issues in our Workday® Studio integrations. Fortunately, Workday® engineers and customers have already experienced the pain and shared their experience. You can follow a few best practices to make sure your integrations run quickly and smoothly. 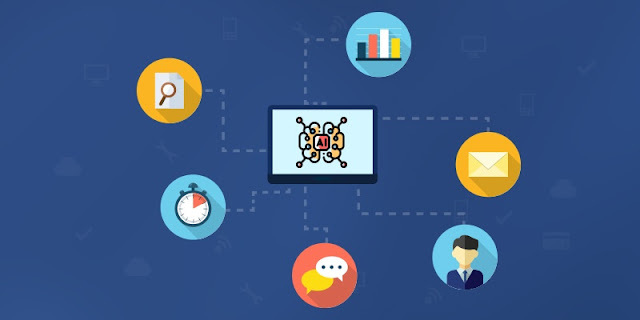 You can handle most of your integrations with Workday® using packaged integrations like connectors, but situations do occur where a connector doesn’t exist or we have a unique requirement that requires the skills of a developer. 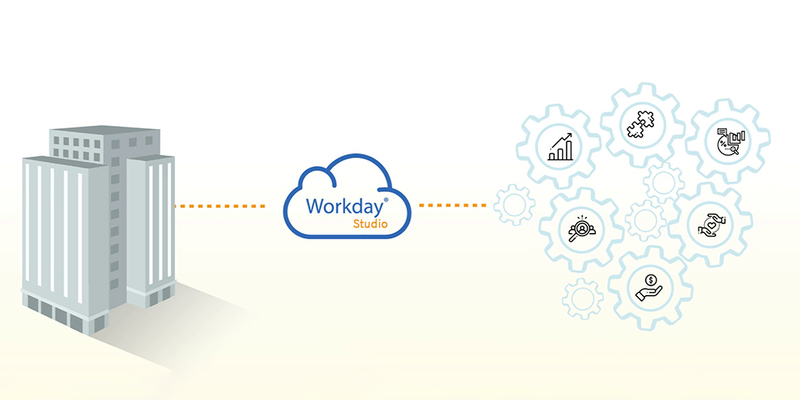 For this purpose, Workday® provides Studio, an IDE for integration developers. The assembly framework in Studio provides all the components you need such as splitting, transforming, aggregating, and streaming. It also provides all the standard transports in addition to the Workday®-In and Workday®-Out transports. Using these components doesn’t optimize your integration for you. You will also need to follow these best practices. Nowadays you can see various different types of navigation menus with interesting, creative and unusual web designs. The navigation menu on a website is like a road sign on a street or a level directory in a shopping mall. You cannot reach your destination without first knowing where you are. Like in real life, navigation in web design is very important and plays a major role in a website’s usability as well as in user experience. Design navigation menu is the primary hint for the user to know about your site. After all, once the user gets lost, the cool dynamic effect and interesting content will be meaningless. Even if our site has a search function, the search box cannot be the only tool for the user to navigate. The navigation menu is one of the main factors to determine the usability of a site, and if visitors can easily find the content they are looking for without effort, they will be more likely to stay on your site instead of closing the page to leave. 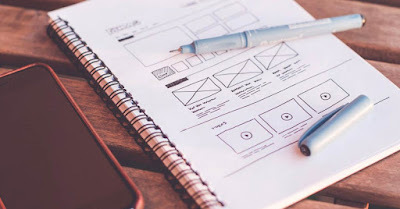 Effective website navigation menu design can help your site to increase page views, improve user experience, and even increase sales and profits (Mockplus.com). Let’s have a look at the principles the web designer should keep in mind! It is time to start! It is crucial to let the user know where he is at all times. You can do this by changing the link’s background, color of the page name or turn the text bold in the navigation menu to make it different from others. Austin Eastciders uses a different color and background to indicate the page the user is on. This indicator can also work as a subtle design change, for example by using a different web navigation background which creates the feeling that other menu items are in depth. Another example, Media Surgery uses a darker color as an indicator for an opened subpage. Simple, but effective. To be consistent with your content and navigation provide some context for website users to find things they need quickly. You can place small icons related to the content you link to or short descriptions to give an overview of what the page is about. Sarah Parmenter uses short and nice captions under main navigation to provide some information about the subpages the main navigation is linking to. According to CreativeBloq.com, Increasing numbers of websites are adopting the vertical navigation trend, and when it works it really works well. It's particularly popular on portfolios or creative web agencies that push the boundaries of traditional web design. Only try this technique if you’re going for a full-screen layout that moves away from a traditional grid design. A working vertical navigation isn’t easy to create from scratch, and it's tricky to get it working in responsive designs. However if you’re curious to experiment and willing to try new ideas then vertical navigations can be a refreshing twist. Google likes consistent navigation. It is good to have consistent navigation not only for users to understand and get the idea of how to navigate through your website but also for search engines to index your website. Search engine robots will crawl through your website in order to index your website and put the links in the search engine results page. If you want to be visible, pay attention to good navigation design and get more website traffic. Often overlooked, your website’s navigation menu plays a key role in your web visitor’s experience, how well your website traffic converts into potential customers, and your website’s search engine rankings. A recent survey by Web.com notes a glaring disparity between consumers’ and small business owners’ perception of how well small businesses are executing their marketing on their websites and social media platforms. Of the small business “decision-makers” who were surveyed, 61% rated their websites positively, while only 46% of consumers shared the same view. The navigation menu should be descriptively labeled to minimize the amount of work your visitors have to do to find information most relevant to them on your website. Use keywords that your target market is using to search for businesses in your industry. Don’t label your pages “What We Do” or “Who We Are”. Users are looking for concise and specific terms that look familiar. Think about what your users are looking for, and what words would resonate with them. Have a look at ThriveHive’s navigation menu. Instead of using a generic label like “Our Services” we used “Marketing Solutions”. Instead of using a generic label like “About Us”, we used “What is ThriveHive”. One last area of the main navigation you should consider is adding a call-to-action. CTAs can be placed in either the main menu or up higher in the courtesy links. Using a CTA can help call out a very specific menu item that you want your visitors select, such as signing up for your service or requesting a consultation. A well laid out menu will help your website visitors understand what you do quickly and bring them to where they want to go easily. For example, Mildren Events have a call-to-action added to their header menu. Consider it for your website too! The call to action is a way to direct focus and give the visitor a clear route to accomplishing a goal. When developing call to action buttons, consider what you want the visitor to do: what your primary aim is, and how this fits in with their objectives. It might be to log them in, sign them up, complete a sale, ask them to contact you or join a mailing list. Whatever it is, you will probably want to drive a sale in some way. Keep in mind: a call-to-action is not only essential for big web companies. The same holds true for any website. The color of your call-to-action button really matters; it’s rooted in color psychology. Testing has revealed that green and orange buttons work well, but on some sites, purple outperforms both. Many corporate websites are blue, and orange is the opposite color, which may explain why orange works so well. Green is the color of good luck and generosity, making it the ideal color choice if you’re trying to get someone to make a positive step. As well as choosing the color for your call-to-action, make sure that the colors are consistent across the board. Consistency helps to anchor the visitor’s eye and establish a meaning for your call to action. It’s OK to use the call to action more than once on a page providing they are the same color. (You may want to repeat your call to action above and below the fold, for example, so the user always sees one on-screen) (WebsitetoolTester.com). Your recruiters do more than talk with potential employees. 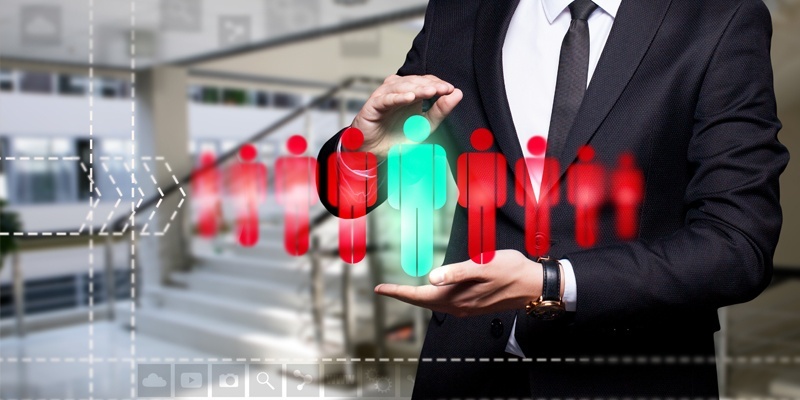 They source and screen profiles, schedule and conduct interviews, work with hiring managers, respond to calls and emails, on-board and much more . AI can automate time-consuming, repetitive tasks such as screening resumes or scheduling interviews with candidates. AI can free up time to focus on tasks that need human intervention. A chatbot can act as a medium of communication and engagement. It can instantly handle many of your recruiters’ routine communications like acknowledging applications and reaching out to candidates when they need to know about their interview schedules, progress or feedback. However, social media is not the only tool. Digital Marketing tools like HootSuite, Sprout Social, Social Oomph, and much more makes very easy to engage the relevant audience for sales. A very famous e-commerce company-Diamond Candles, sold their products in a unique way. These scented soya based candles can give a customer a surprise fancy ring ranging from $100 to $5000 in value. Instead of promoting their product on Social Media, they discussed the brand with every 3rd person and asked their customers to post their picture with a ring. Later on, they used same pictures to re-post on Social Media to engage their customers. CEO of Diamond Candle pretty much believed in “Showing” rather than “Saying” and thought out of the box to make it a huge success with help of social media and word of mouth. Today we will have a look at three ways of how to increase the number of visitors to your online shopping store. Influencer marketing is a relatively new concept in the marketing world. With the rise in popularity of social media, brands have realized that they no longer have the ‘one to all’ voice they used to. Billboards, TV commercials and magazine ads may still be used by big brands to increase brand visibility, but these tactics are usually outside the reach (and budgets) of small businesses. Fortunately, social media offers small businesses the opportunity to level the playing field. Instead of broadcasting their message to a large, generic audience – which is likely to cost lots of money and be only moderately effective – they can target a smaller, more relevant audience. One of the most effective ways businesses are doing this is through influencer marketing. This is the process of having celebrities, influential bloggers, or industry experts talk about your brand, mention a product, or share your content. Not only does influencer marketing tend to be less costly than traditional marketing methods, it’s a much better fit (i.e. more effective) in our word-of-mouth culture. According to Econsultancy.com, Daniel Wellington is a watch brand that has chosen to completely bypass traditional marketing to focus on influencers. The brand pays celebrities for the sponsored posts and gifts watches to lesser-known micro-influencers. In exchange, they post photos of themselves wearing the watch, accompanied by a unique money-off code for followers. It’s a simple formula: beautiful images of minimalistic jewellery, which serve to promote a lifestyle as well as a product. There are over 1.5m Instagram posts using the #danielwellington hashtag, with the brand’s main account amassing over 3.5m followers. Considering the brand’s beginnings as a small start-up – it’s an impressive display of the strategy's potential. We all know SEO is important, and yet sometimes we let it “happen by accident” instead of giving it the attention it deserves. 95% of web traffic comes from a search engine, and less than 5% of web searchers make it through to the second page of returned search results. It is important to pay attention to the product keywords you should be using. You need to use a tool like the Google Keyword Planner to guide you to the right list of words that are the most relevant to your product. Consistently adding unique and high quality content on a regular basis to your ecommerce site will not only add additional value for users, it will also help with your search engine ranking. Consider using your and add content that's related to the products and services that you sell. Image search has become a very popular function that internet users are increasingly using to find products online. Therefore, ecommerce websites need to add related keywords into the ALT tags of every image on their website. For optimal effect, make sure that every keyword used for an image is directly relevant and avoid stuffing keywords into the alt tags. A common error made by many ecommerce sites is burying their product pages deep within their link structure. This will not only make it more difficult for users to find products, it will also impact the product pages PageRank score, making those pages less likely to appear high in search. Having product content only a link away from your home page will make them easier for both the search engines as well as your customers. In addition, the way that you structure your online shopping store will impact its visibility. Consider structuring your ecommerce store so that it includes a number of landing pages. These pages can be specific to a brand or product type. Doing this gives you the opportunity to optimize for multiple pages and keyword groups, which will increase your site's visibilty in search (Shopify.com). Do you need SEO assistance for your e-commerce store? Let Blueninja.io help you! The more detailed explanation of how to structure your E-commerce website will be given in our next E-commerce article. Stay tuned! More and more people are shopping online, and advertising platforms have taken notice, giving more on-page real estate to retail-related ads. If you’re in the retail industry, chances are you’re already using some form of online advertising to promote your products (link to digital marketing service page), but there is most likely room for improvement. Just as with search or display ads, there are plenty of options when it comes to PPC ecommerce ads. The two most popular (and fastest-growing) platforms you should be using are Google Merchant Center and Amazon Advertising. Google shopping ads are growing. Amazon is another great option if you’re able to host your products there. A recent report from Slice Intelligence found that spending with Amazon accounted for 43% of all US online revenue in 2016, while the company itself accounted for 53% of all online sales growth in the US. Google has even taken notice of Amazon’s success, with the company recently testing running Amazon shopping ads on Google. Besides, it is important to diversify the types of ads you’re using for ecommerce. Both text ads and Product Listing Ads can be useful when it comes to selling products. Text ads allow you to highlight more specific prices and features in your headline and description, while PLAs allow you to compete with the ever-growing online shopping industry. Having both in place will allow you to partake in the best of both worlds. “The e-commerce industry is a force that no investor can afford to ignore” © Cushla Sherlock, Corporate Communications, Credit-Suisse. 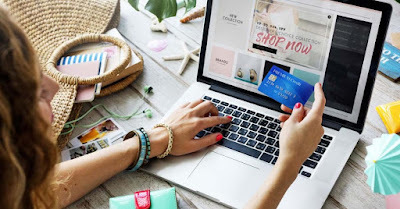 One of the most significant trends of the 21st century is characterized with replacement of traditional retailing with online shopping, gaining the central stage. Driving traffic to your ecommerce store helps bring in potential customers to land you that sale. Many spend their time perfecting the appearance of their online store and fail to do what really matters: marketing. If you’re serious about the future and growth of your business it’s essential that you drive traffic to your online store no matter how much work it is. Do you want Blueninja.io help you with the development of a great online shopping store for your business? Give us a call anytime! The highly-qualified team of Blueninja.io provides an unforgettable experience for businesses and their clients through innovative digital solutions. Website design & Mobile Development, Web Application Development services, E-commerce web systems, SEO, Google Adwords and Social Media Marketing (link to service pages) are just a small part of a wide service portfolio, opening doors to enormous opportunities for your business success. Stay connected with Blueninja.io and be the first who will read our next article!